Carl Howard is CEO of Fazoli’s, America’s largest fast-casual Italian chain. 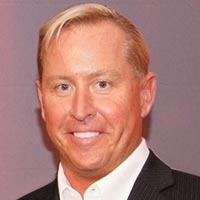 Throughout his tenure, Carl has re-engineered Fazoli’s from a QSR concept facing many challenges to a thriving and growing fast casual brand with over 35 locations planned to open in the next two years. Under his leadership, Fazoli’s has now posted 16 consecutive quarters of same store sales growth and have seen sales remain positive for 78 of the last 82 months. Carl has received many industry accolades throughout his 35 years in the food service industry and he strives to further the industry through mentoring programs and Fazoli's Dare to Excel Educational Scholarship Program.